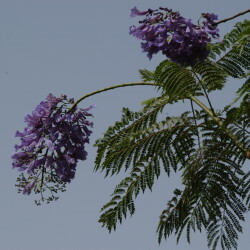 Native to tropical South America, this deciduous tree is an eye-catcher in full flower with large panicles of lilac or pale blue. 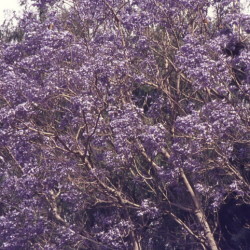 These appear in spring before the foliage fully forms. 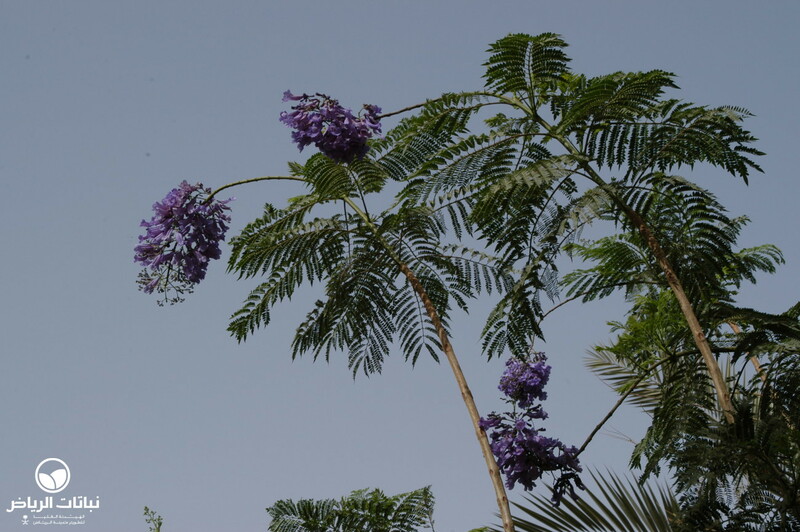 Flowers may appear again in autumn, but less obviously, because of the dense bipinnate leaves. 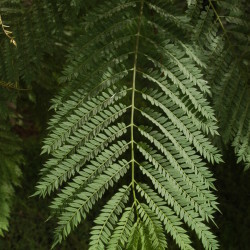 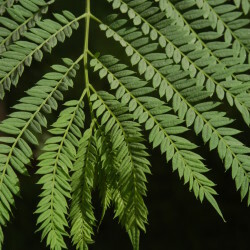 They resemble those of some acacias – hence its species’ name mimosifolia – but may immediately be distinguished for their opposite phyllotaxy. 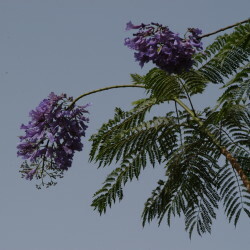 Jacaranda comes from the vernacular Brazilian name. 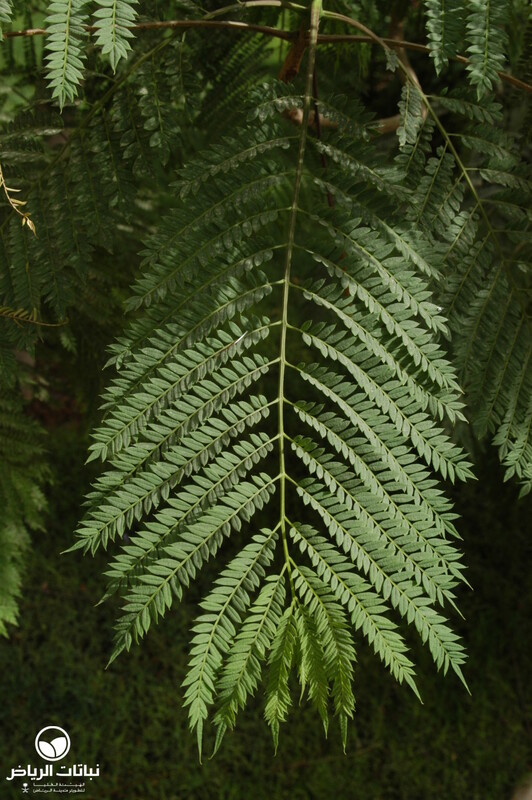 They grow fast to a height of about 10 metres and equivalent width in sunny positions when the soil is fertile and frequently watered. 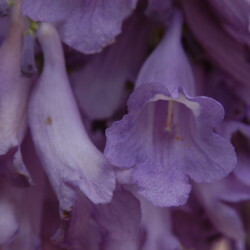 The soil should contain compost and be fast-draining. 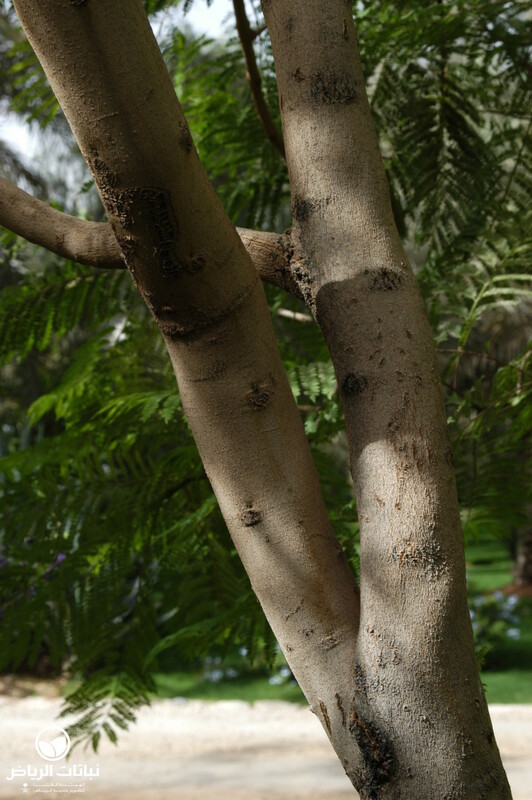 Unfavourable conditions such as compacted soil or continual drought will lead to dead branches. 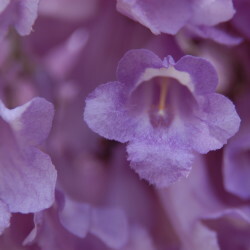 The shallow-growing roots must not be damaged. 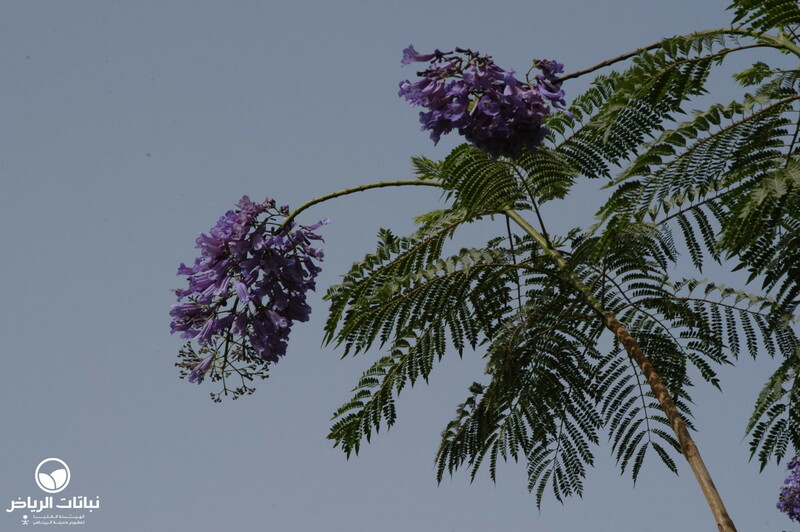 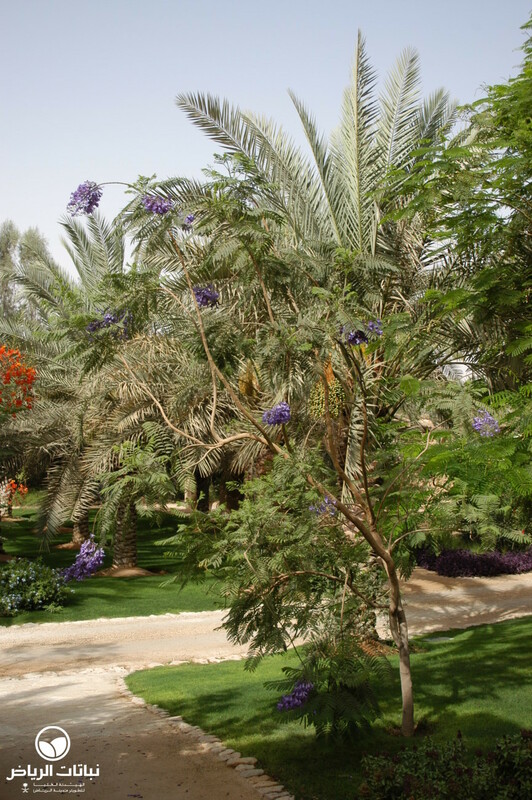 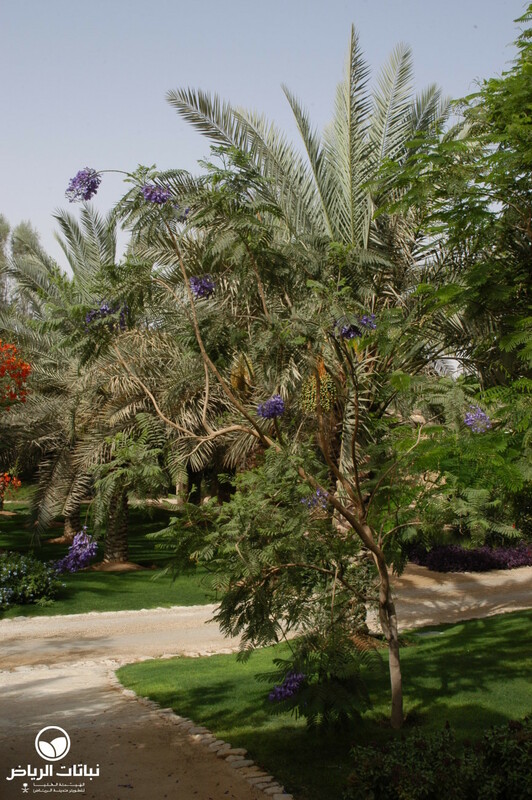 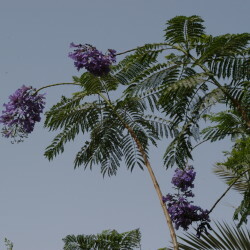 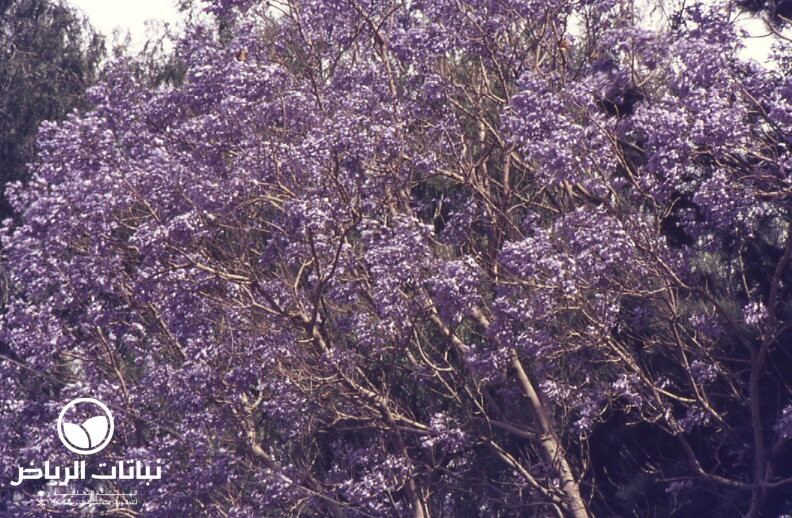 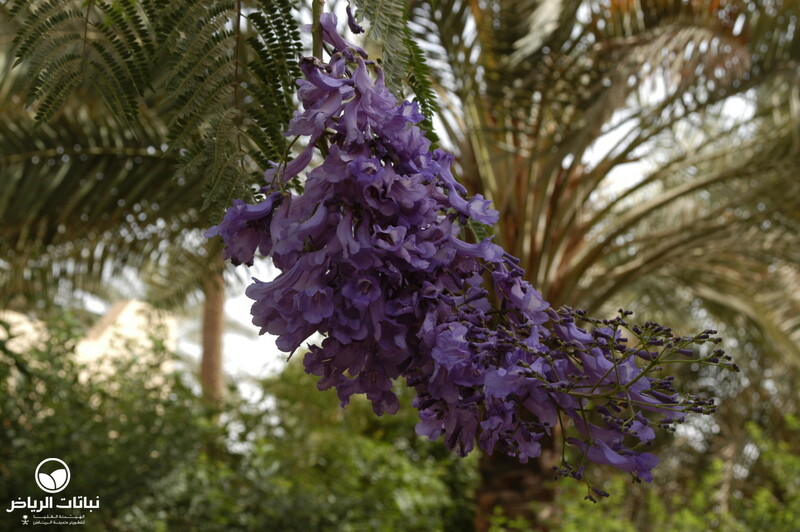 Jacaranda is not often seen in Arriyadh; it is not particularly well suited to the climate and its growth often comes to a standstill. 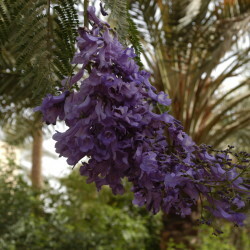 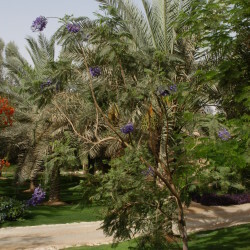 In Arriyadh’s coldest regions, the Jacaranda’s twigs may freeze, but trees soon recover just as if they had been pruned. 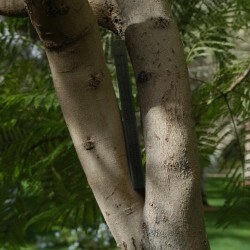 The tree can be cut back in late winter. 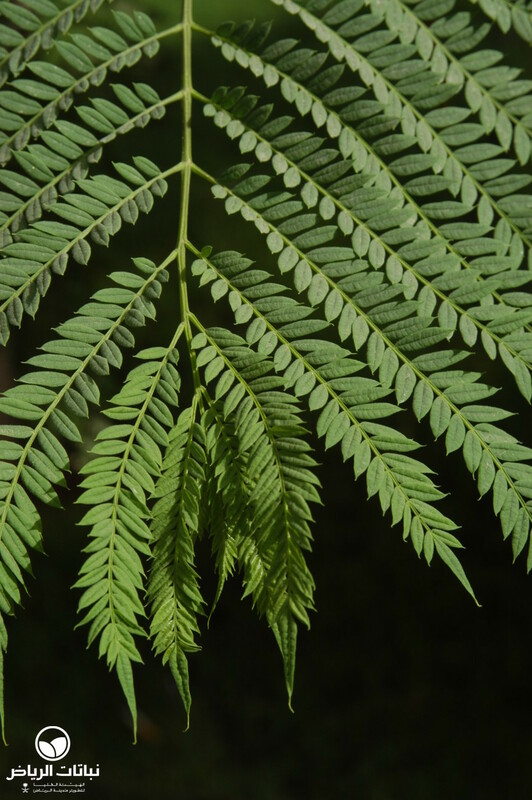 Large, flat, red-brown fruits somehow resemble ravioli and reveal seeds that easily germinate if watered for 24 hours before sowing. 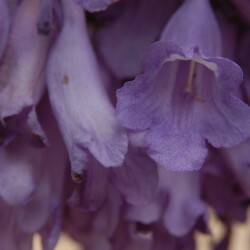 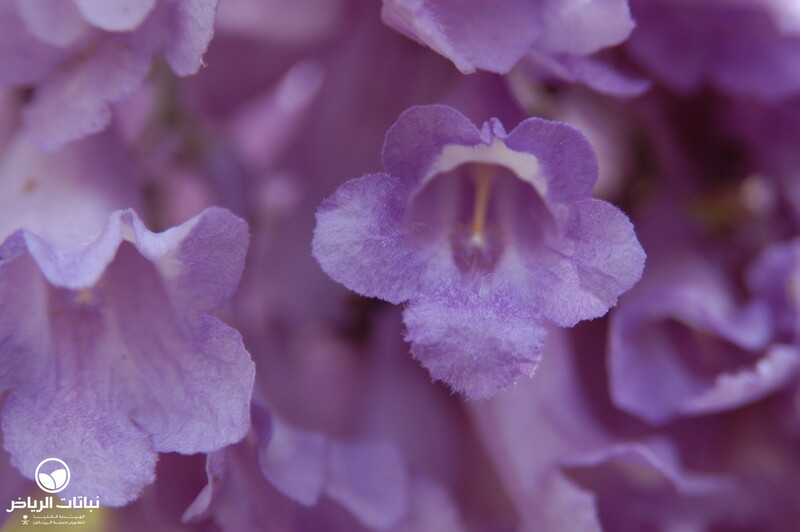 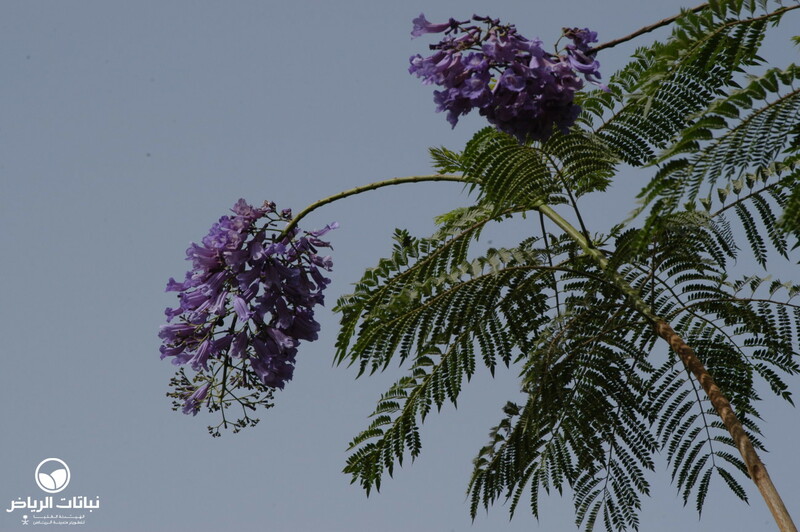 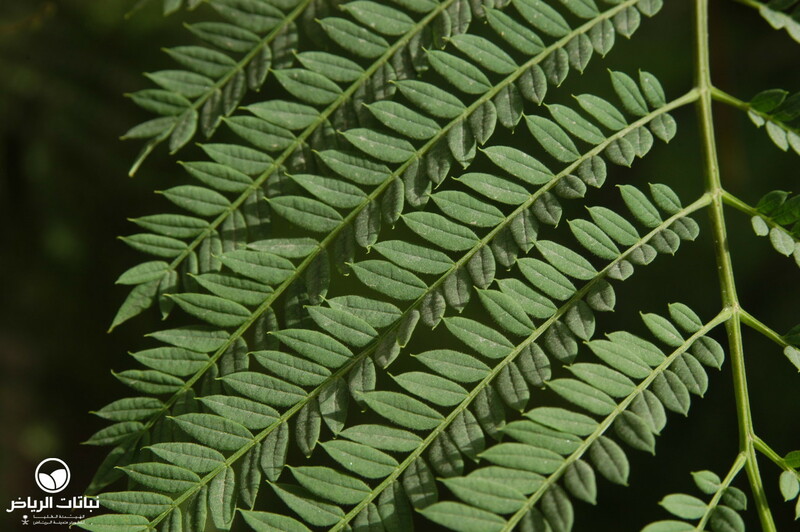 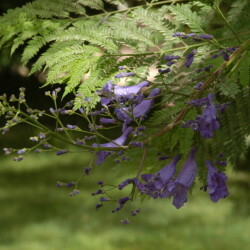 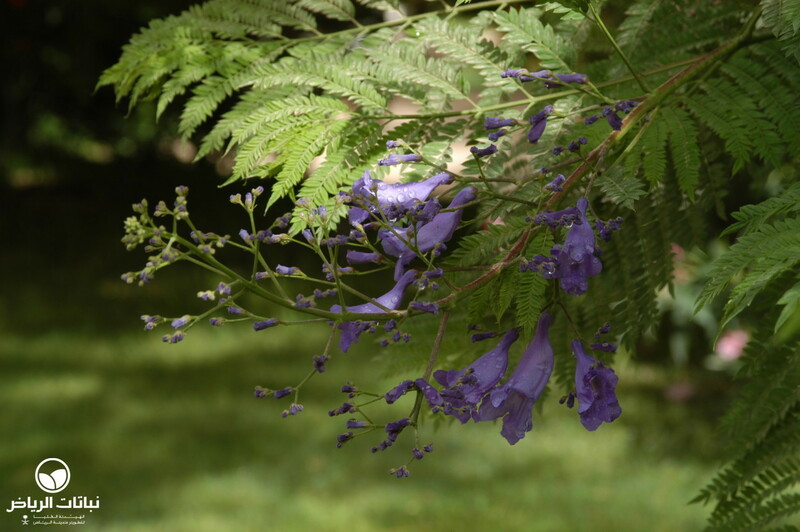 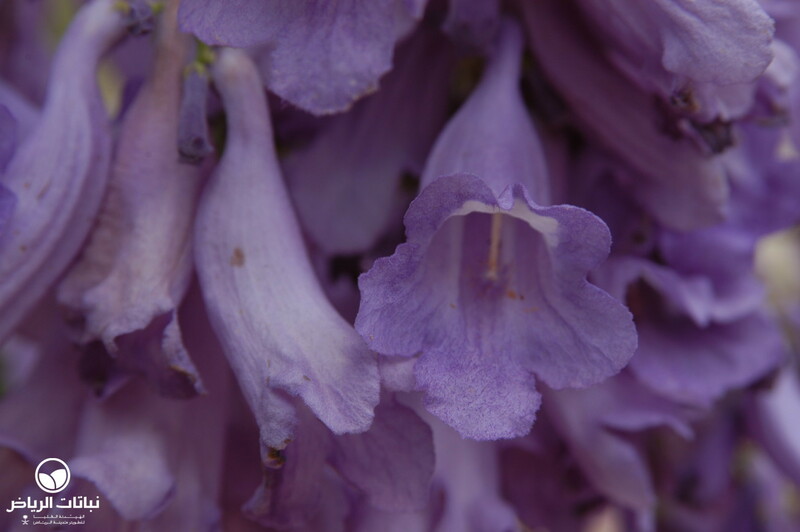 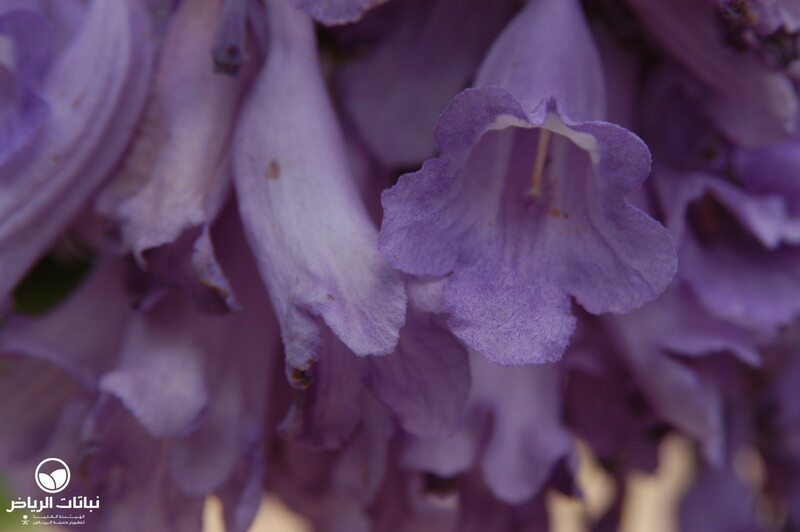 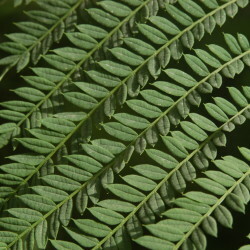 Jacarandas may be grown in pots for their attractive fern-like leaves, but flowers will not appear on such plants. 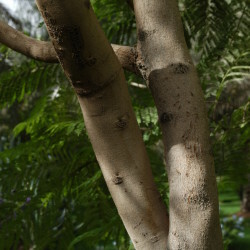 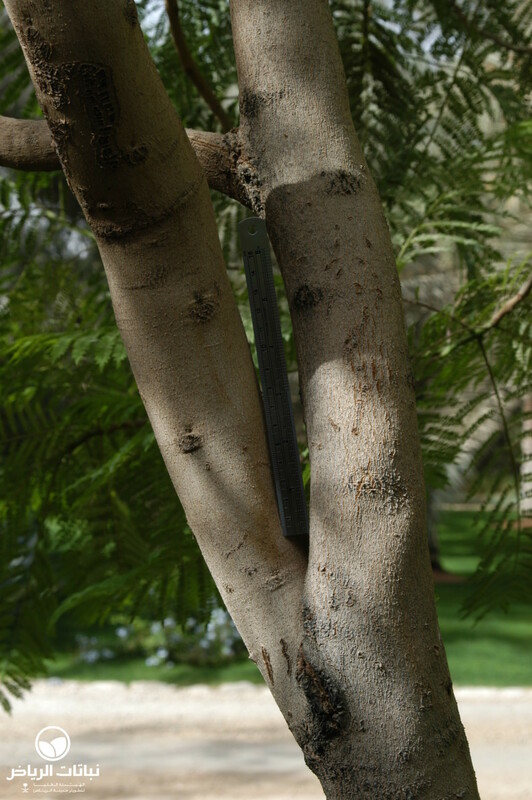 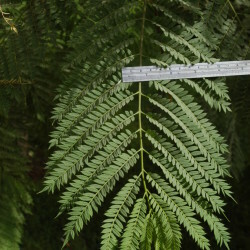 Mature trees are flat-topped and their lacy foliage creates light summer shade. 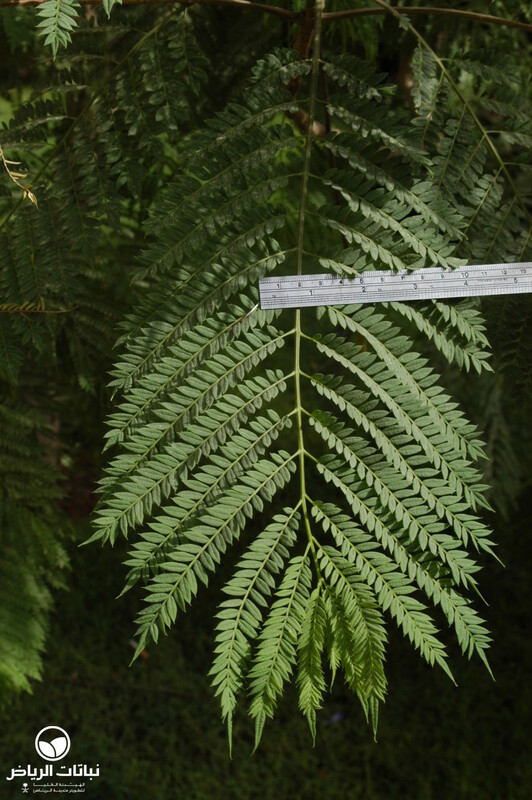 With summer humidity, they make specimens for pedestrian areas. 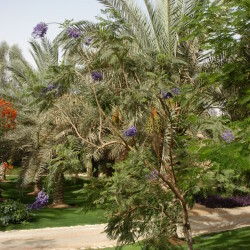 In Arriyadh, unfortunately, they are not very successful.